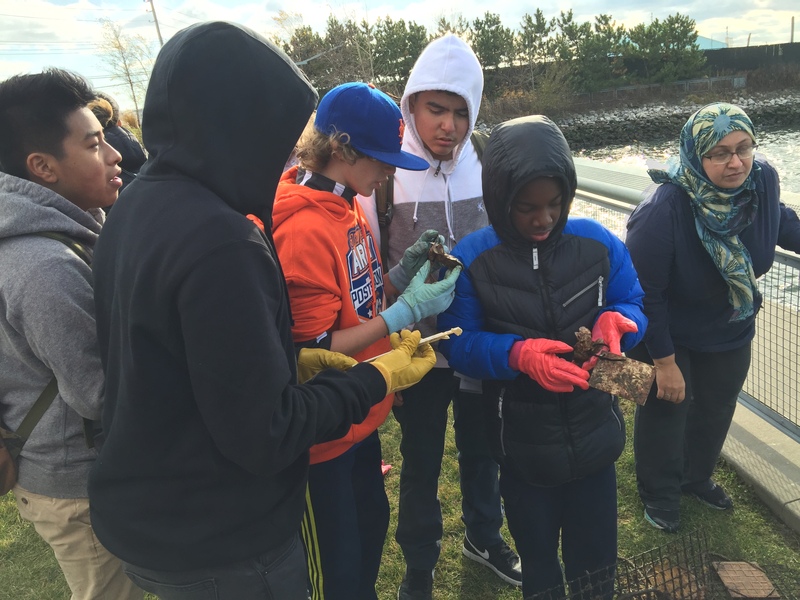 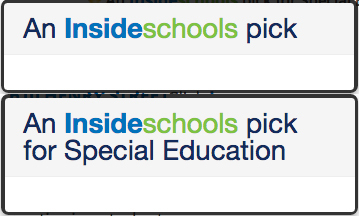 12/2 – 8th graders committed to the Billion Oyster Project! 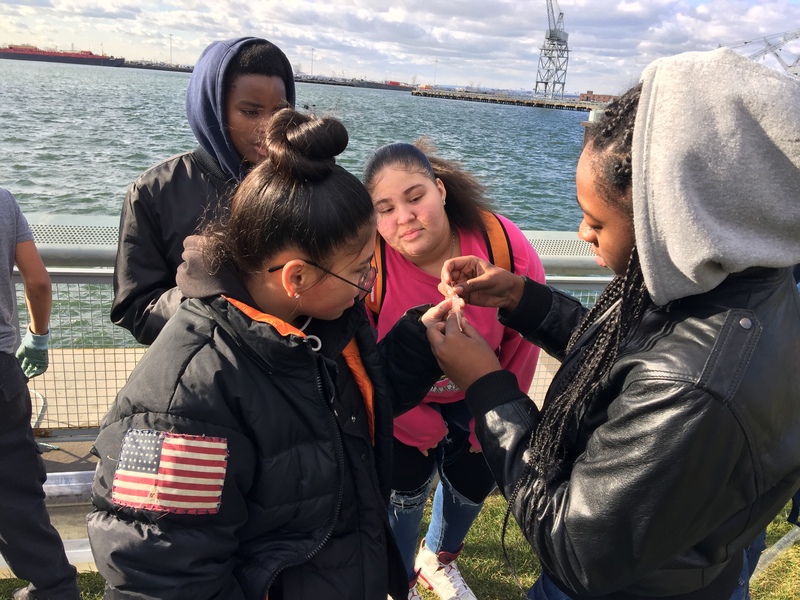 On Friday 12/2, the 8th grade science class went to our oyster restoration station in Red Hook to collect data as part of our citizen science partnership with the Billion Oyster Project with teachers William and Abby. Our students took measurements of the tagged oysters in our cage, recorded descriptions of the location, and tested the water quality of their habitat. 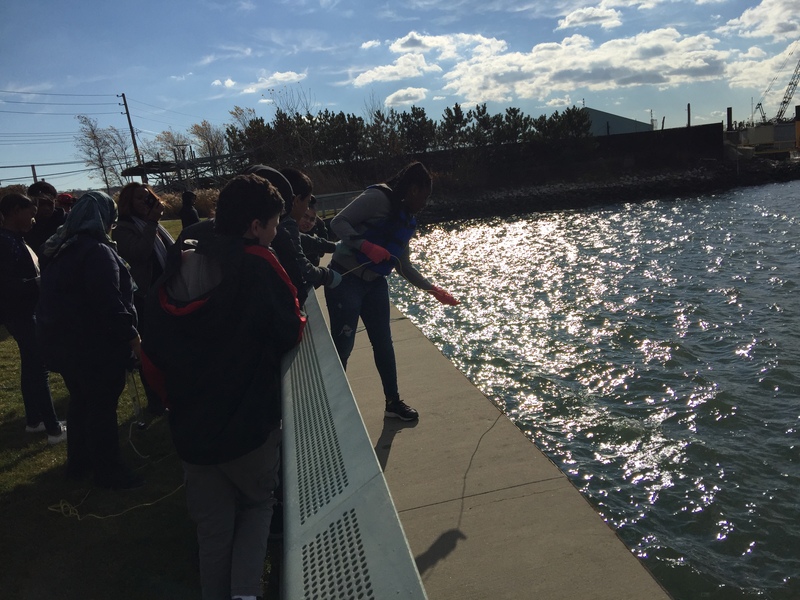 We will be back out in the spring to visit our station, take more measurements, and see if there is any improvement to our local waters.